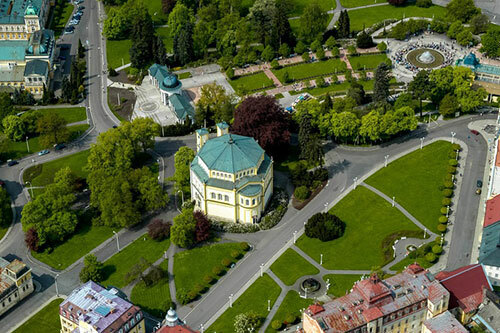 The spa town of Mariánské Lázně (aka Marienbad) was founded in the 18th century. Johann Josef Nehr, a doctor from the Teplá Monastery, was the first to have correctly identified the effects of the local hot springs and contributed to the town’s foundation. 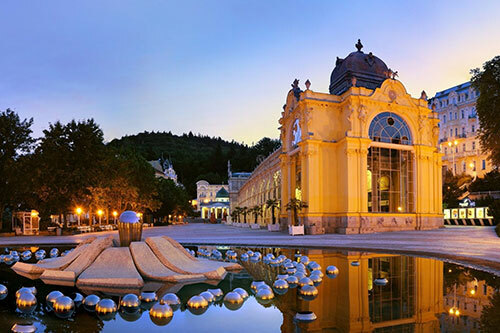 Yet, nobody believed him at the time and he had to prove serious persistence and tenacity as he tried to convince the Premonstratensians of the therapeutic effects of the mineral waters so abundant in this valley. 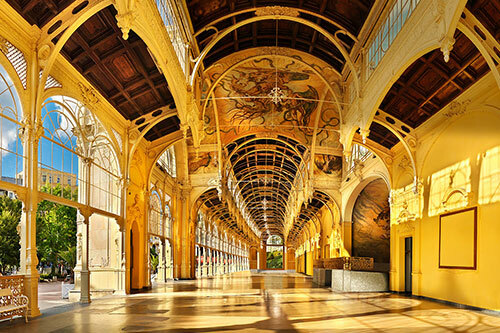 Finally, he managed to build a therapeutic facility and began writing the history of this famous spa that was later even visited by royalty. 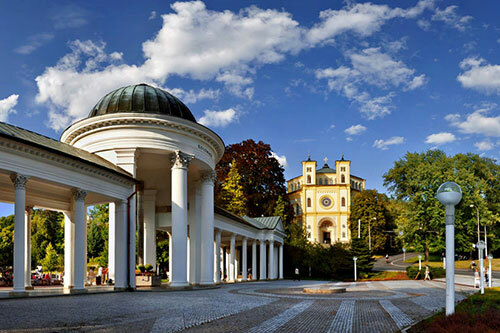 Its unfriendly swampy landscape was transformed into a vast English-style park of considerable beauty, surrounded by rolling hills and forests that invited you to a walk and relax your mind. 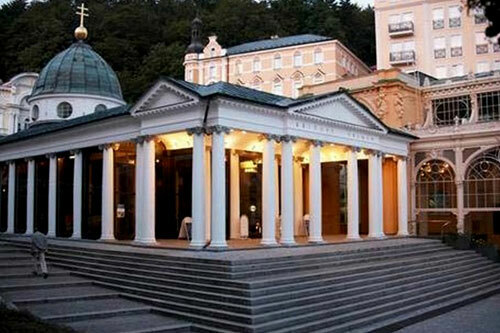 Colonnades and pavilions with healing springs form the heart of the spa. 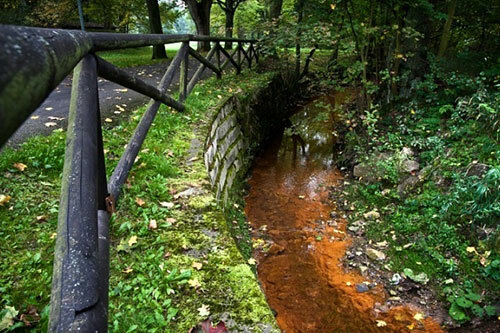 We will taste the water from its most famous local source, the Cross Spring. 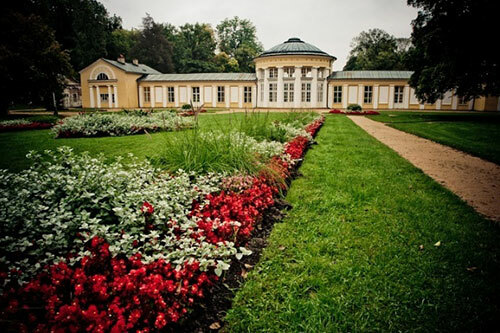 It was relied upon by many, including one of its most famous spa visitors, Johann Wolfgang Goethe. 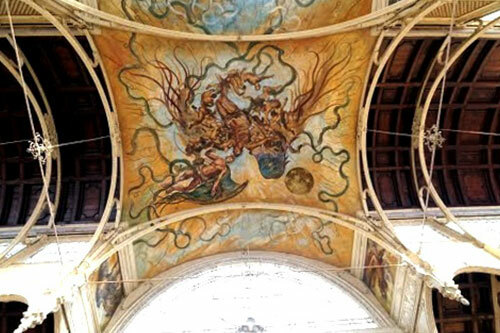 Another local iconic monument is the decorative cast-iron colonnade, which surprises us with its surrealist frescoes by Czech painter Josef Vyleťal, an artist once acknowledged by Salvador Dalí. 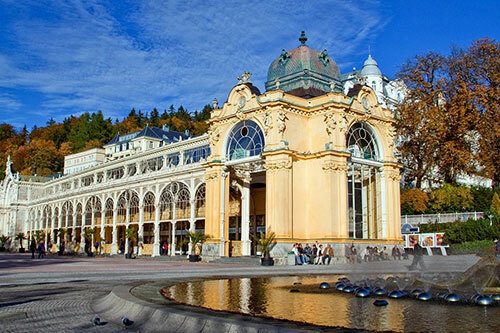 In recent history Marienbad became known for its Singing Fountain and we will certainly not miss its ‘show’. 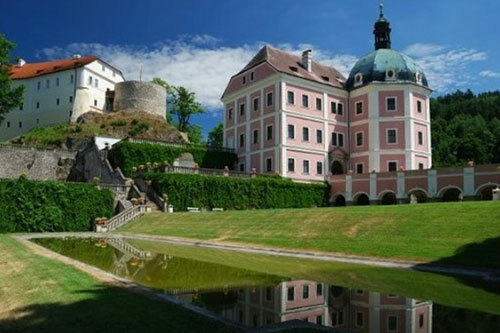 The chateau in Bečov nad Teplou contains an artefact of priceless value, considered the second most important in the country after the Czech coronation jewels. A Romanesque reliquary of St. Maurus from the beginning of the 13th century, its recently completed restoration took thirteen years. 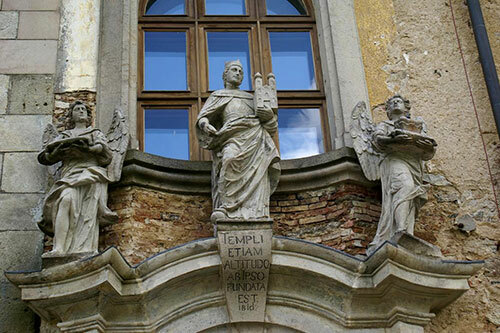 There are only two other reliquaries of comparable value in the whole of Europe. The actual casket is carved from walnut wood, however it’s the outer decoration that particularly attracts viewers. 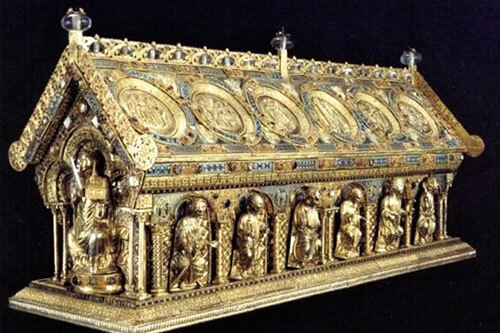 It is entirely covered in gold and silver, with gilded sculptures of Jesus and the apostles, delicately carved reliefs depicting scenes from the New Testament, enameled decorations, antique gems with miniature reliefs adorned with filigree, as well as several hundred finely cut gems and spheres from rock crystal. 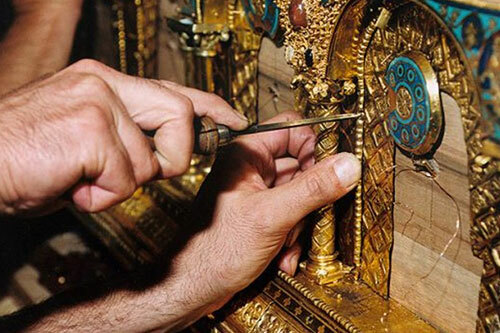 Until the end of WWII, this exceptional example of Romanesque goldsmith work belonged to the Dukes of Beaufort, members of Belgian aristocracy that resided in the Bečov chateau. 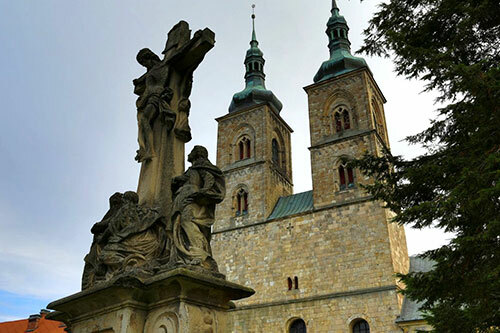 Because of their collaboration with the Nazi regime, the family was forced to quickly leave the country at the end of the war and hid the reliquary inside a church. 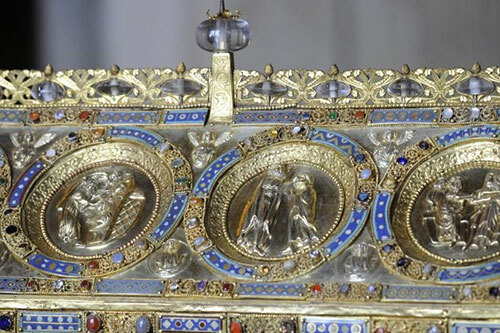 This set forth an incredible sequence of events regarding the ‘lost’ reliquary, including an attempt of the original owners to export it from then Communist Czechoslovakia. 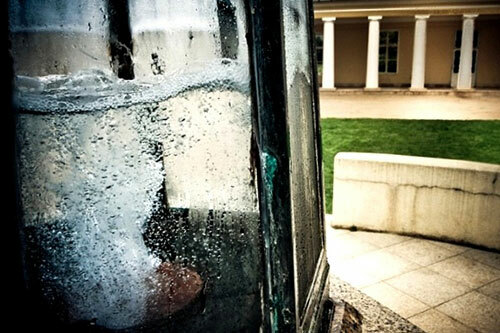 With only a few clues, the secret service and experts were able to locate the ‘mystery item’ and halt its export. Tours are available from April through October. 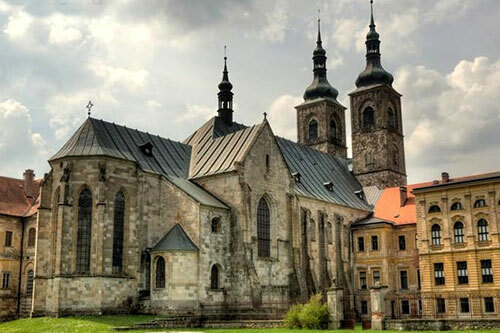 The predominant architectural style of the Teplá Monastery is Baroque, although Teplá Monastery was founded in the rolling landscape of Western Bohemia already eight centuries ago. 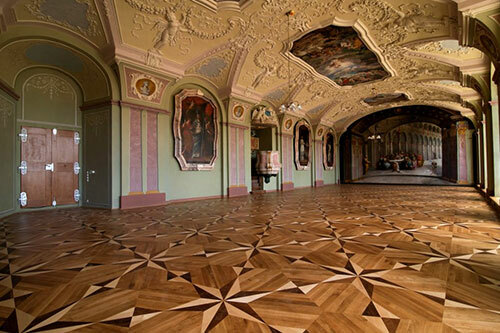 Baroque surprisingly expands the older parts of the complex built in Romanesque and later in Gothic styles. 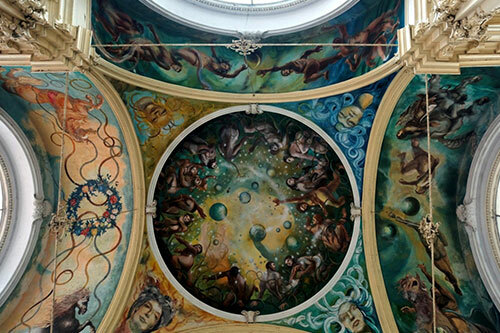 We will visit the summer refectory, renowned for its illusory frescoes and Capitol Hall of the monastery, as well as its impressive original Romanesque church, nowadays with clearly Baroque interiors. The tomb of Beatified Hroznata is inside. 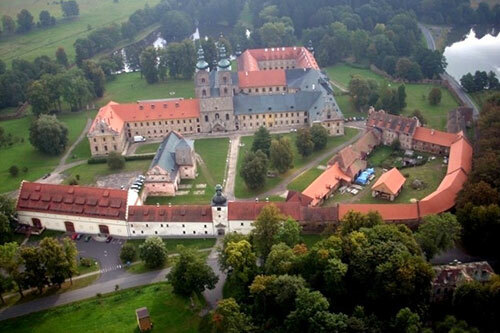 He was a powerful Czech aristocrat who founded this monastery in the 12th century. 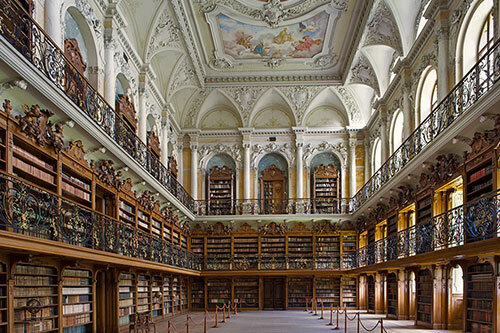 The Monastic Library deserves special attention as the second most famous in the country, surpassed only by the Strahov Monastery library in Prague. Visits are possible from February through December. 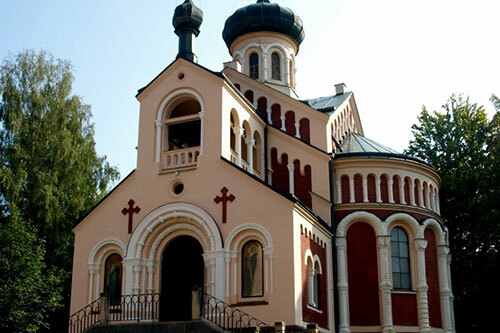 This tiny church was built at the beginning of the 20th century for rich spa guests from Russia. It contains an unexpected treasure, an impressive majolica iconostas, originally created for the 1900 World Fair in Paris.